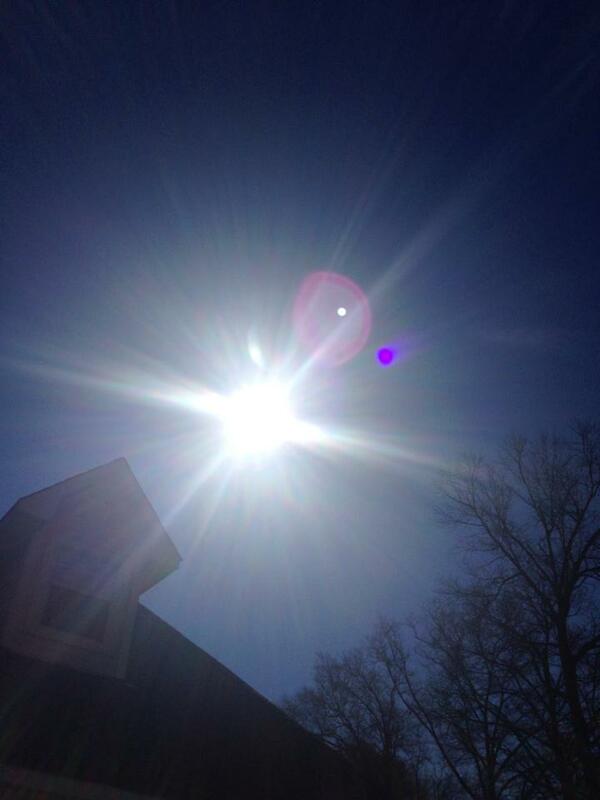 Mr. Sun Sun Mr. Golden sun please shine down on me! I call her big Red and she is mama’s little helper. Now, those are some of my faves that I have posted before. The next two are some of my favorites as well that I have never posted. These crockpot chicken Caesar sandwiches are little savory bites of delight. 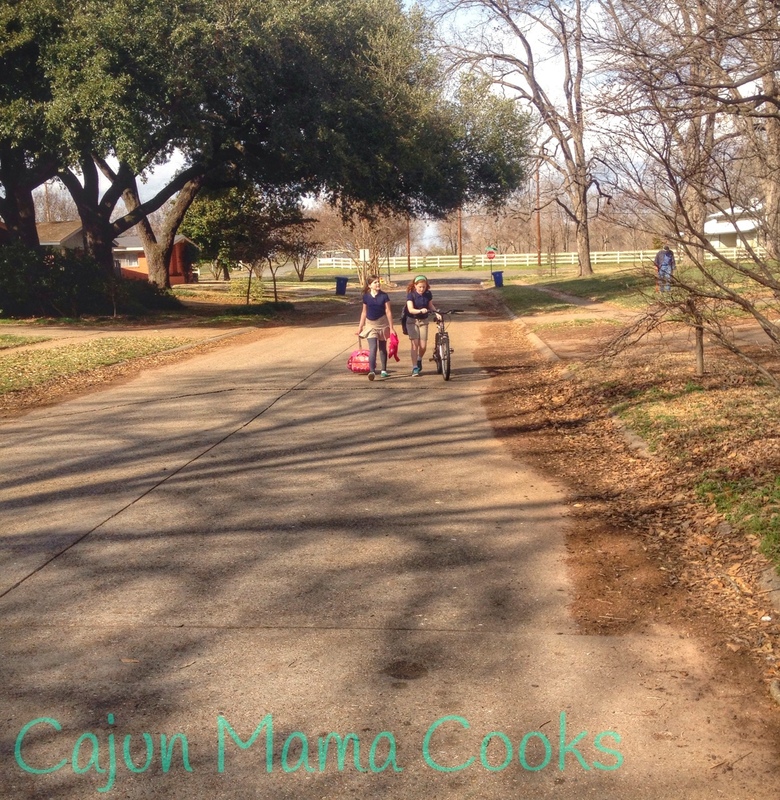 They are a perfect meal to have to after a late spring soccer or baseball game, after a long day of work, or to make for a group of friends at a Mardi Gras party or for a pre-parade meal. If you are low carbing it right now or serving friends who are, this would be acceptable to most if served over a bed of romaine lettuce. I had some that way and it was pretty terrific. Just a suggestion for those who might have family or friends on a different diet. 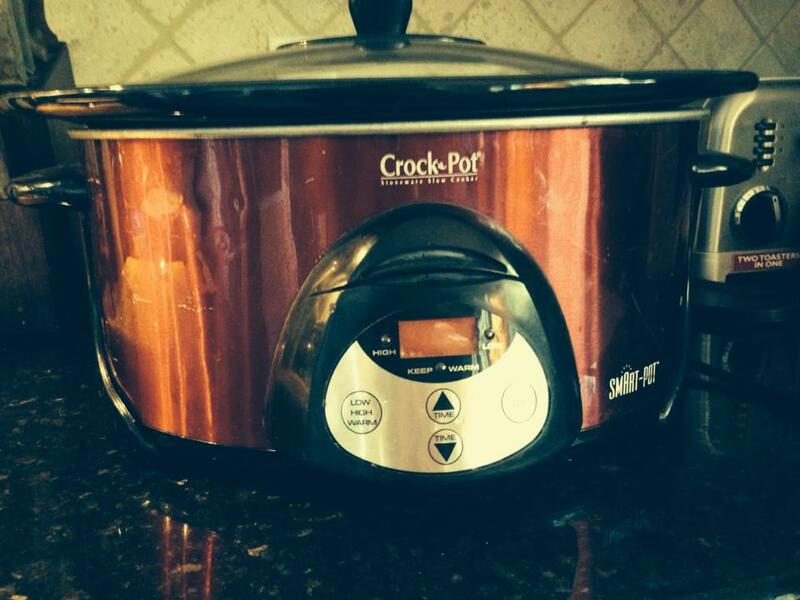 Place chicken in a 4.5 quart slow cooker with 1 1/2 cups of water. Cover and cook on low for 4-6 hours. When it is done, remove the chicken with a slotted spoon and drain water out of the slow cooker. Now shred the chicken using 2 forks and place back in slow cooker. In a medium size bowl, whisk together dressing, cheese, parsley and pepper until combined. Pour this mixture over the chicken. Cover and cook on high for about 30 minutes or until heated all the way through. Spoon some of the mixture onto bun. Top with freshly washed Romaine lettuce and voila! Chicken Caesar salad on a bun. Oh yes! 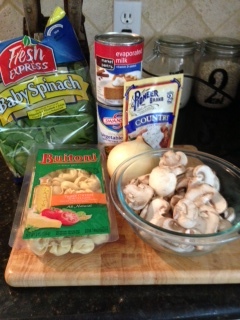 Now, this following recipe is for Creamy Slow Cooker Tortellini soup and it is AWESOME. Or as the kids (and me…despite swearing I would not) are saying…awesome sauce!! Also, because I tend to cook for different groups of peeps and some of them are vegan, vegetarian, etc…I am always glad to have some meatless yet satisfying dishes on hand. This one is meatless and full of super food veggies (spinach and mushrooms…jackpot!). Yes, spring is on the horizon and I am thrilled, but there are a few cold nights left and this will hit the spot. But to be honest, a nice soup that I don’t have to stand over the stove to cook is just fine in the summer time too! Serve with a big side salad and supper is served. Sprinkle dry white sauce/gravy mix in the bottom of your 3.5-4 quart slow cooker. Gradually whisk in the water to combine with the gravy mix, until smooth. Stir in broth, mushrooms, onion, garlic and spices. Cover and cook on low for 5 1/2 hours, depending on your slow cooker or on high for 2 1/2 hours. Stir in dried tortellini. Cover and cook on low for another hour or so. 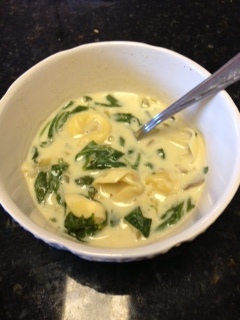 Stir in evaporated milk and spinach leaves. That’s it. Now ladle some into individual bowls. If you are so inclined, sprinkle each bowl with some black pepper and shredded Parm. Makes about 4 nice size servings. Mouth watering…oh I love you! Dear God…thank you for beautiful days like this. And for soup.